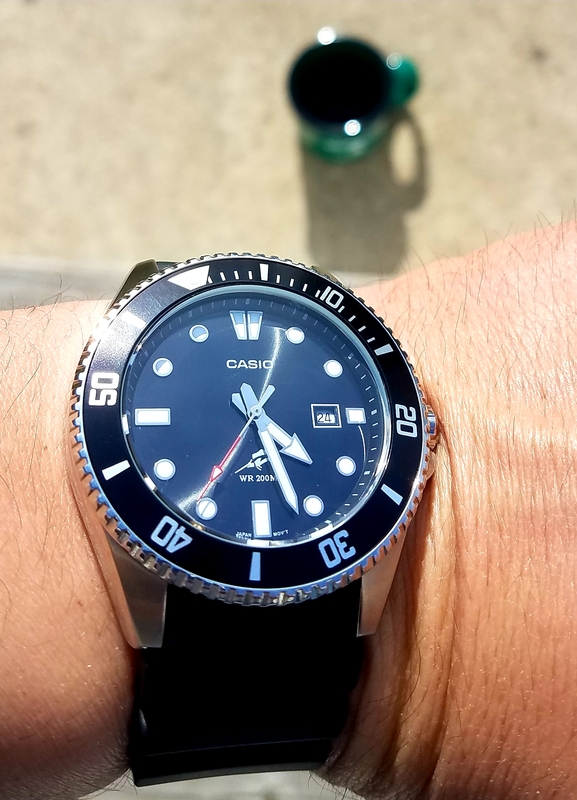 Re: What Watch are you wearing today? 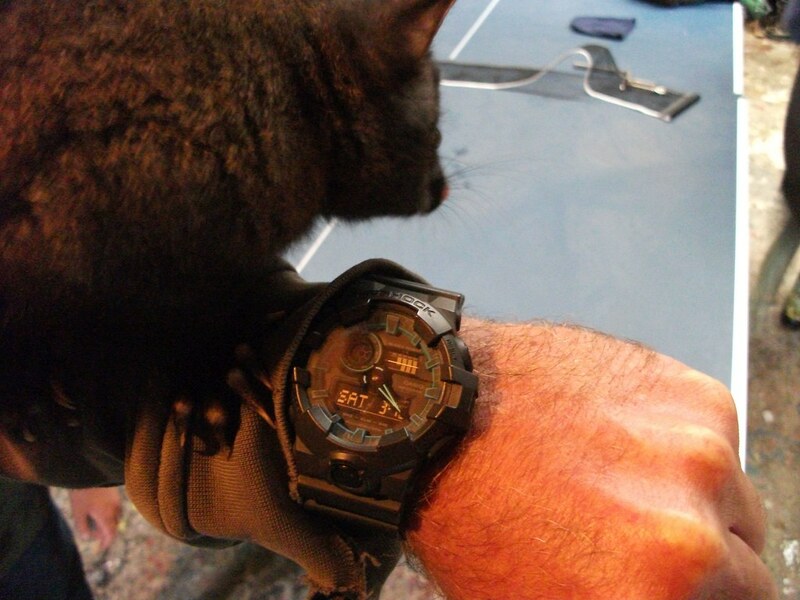 I am also wearing a G-Shock today, Mudman G-9000. 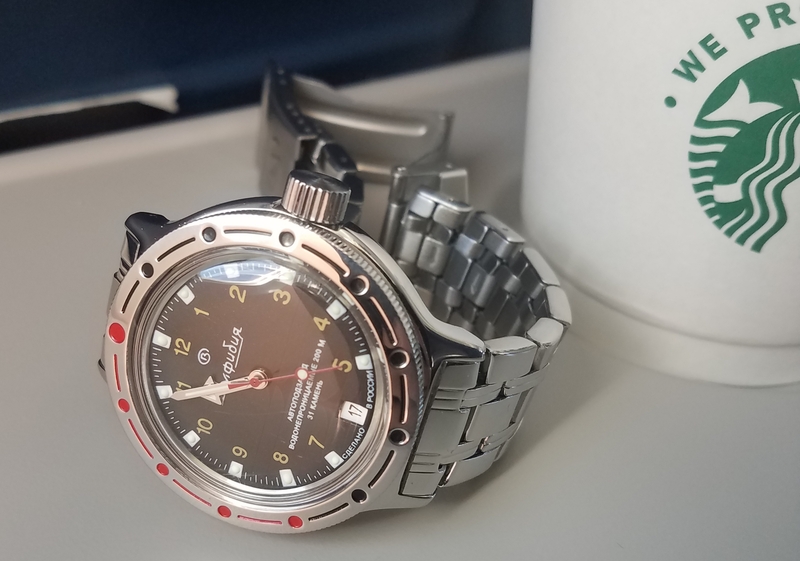 Flying the friendly skies with this Vostok. I've been wearing it all weekend and have really enjoyed it! Hey Zoiderg, is someone checking the time? Very cool. Glad you are enjoying it. Very cool. Popping colors look nice. 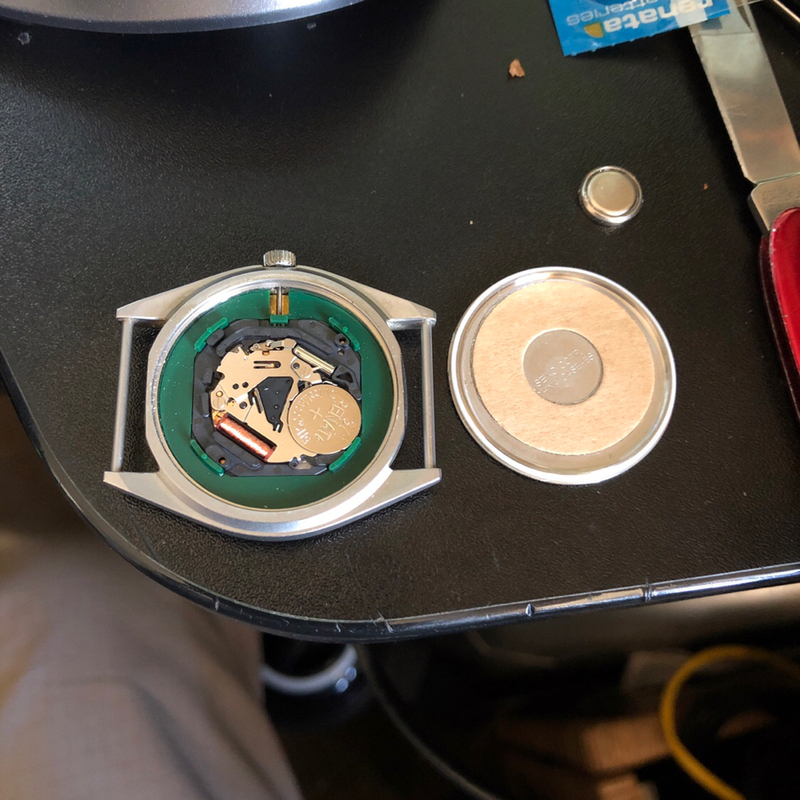 Got this old fob watch up and running again yesterday. Just needed a battery. 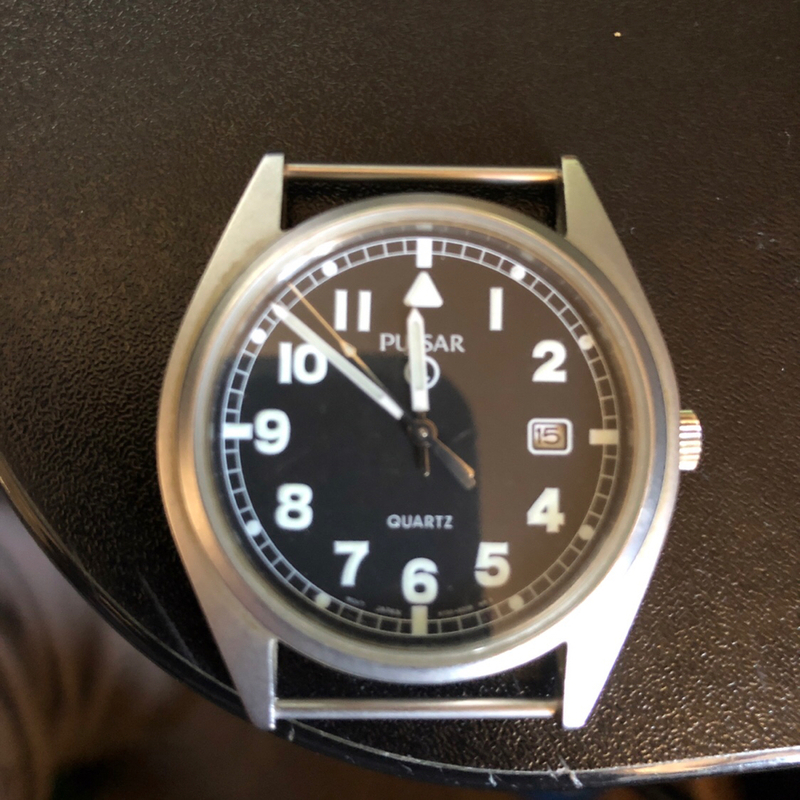 This was given a very rough life for several years in a heavy machine shop and a boatyard, where a wrist watch was a major safety hazard. I think it only cost me something like £15 at the time, and it shrugged off everything that got thrown at it, including oily hands, direct oil splashes, and frequent impacts. It might be cheap, but it's done a great job in very unforgiving circumstances. 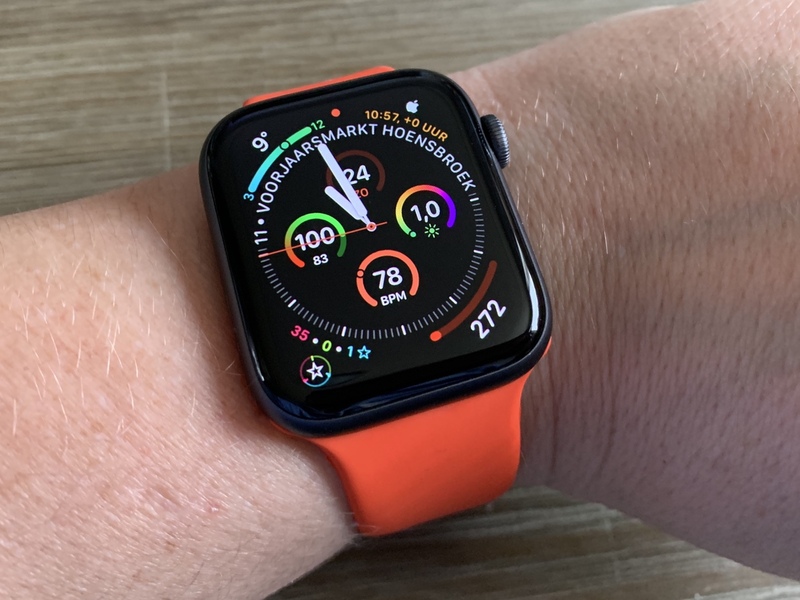 I wanted this back running, as the face is nice and simple to read, so when my vision is off, I've still got a fighting chance of telling the time. 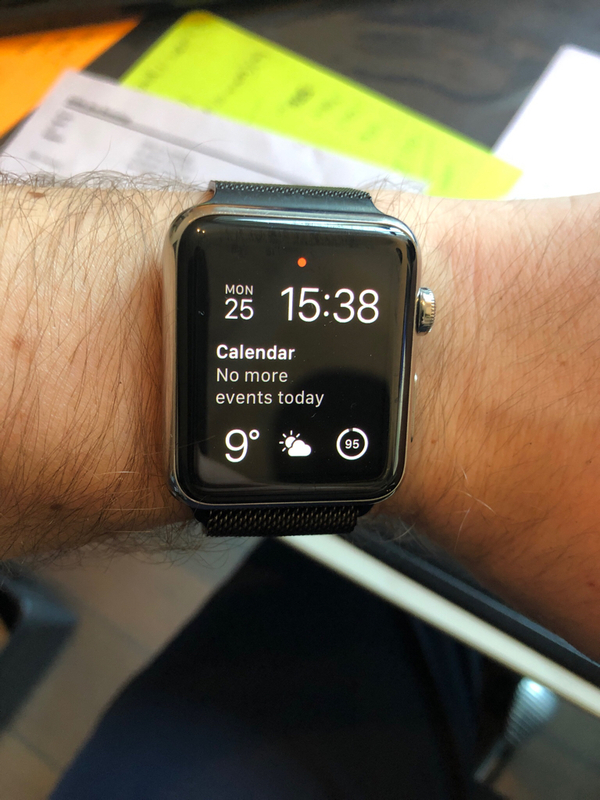 Also, wrist watches get annoying for me after a while. I went many (20?) 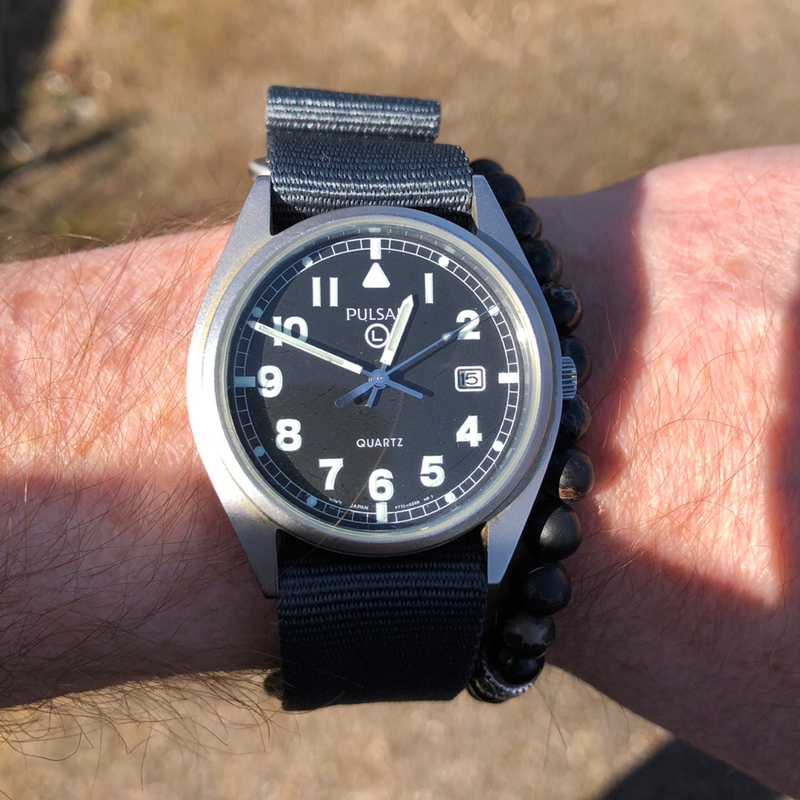 years without wearing a wrist watch regularly, and it's really nice to go back bare wristed every so often. Nice to get it back on the belt loop again. 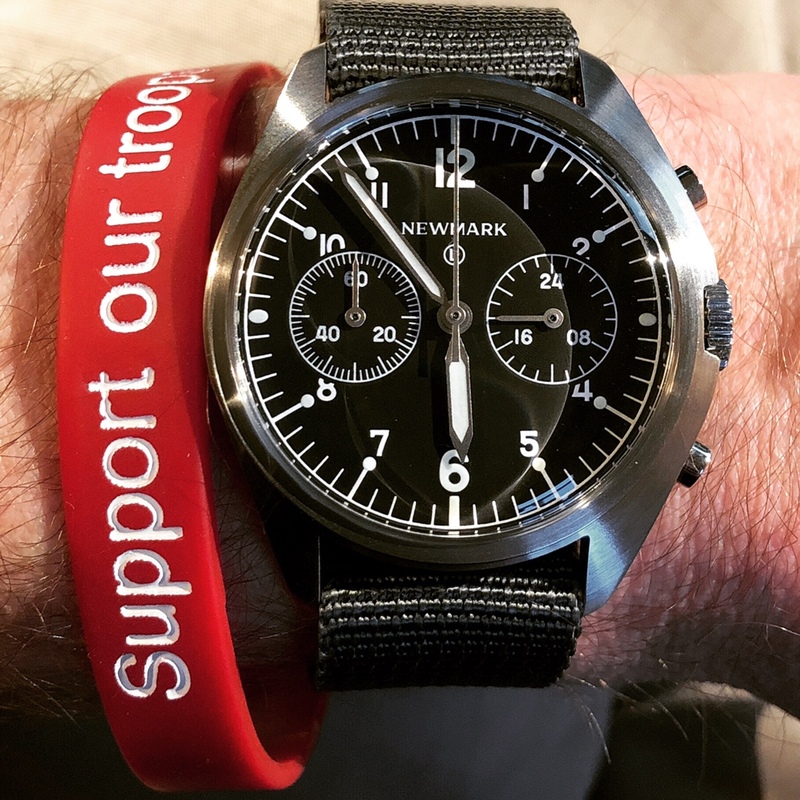 Same Newmark 6BB different Zulu Alpha strap. Nice watch, AW! 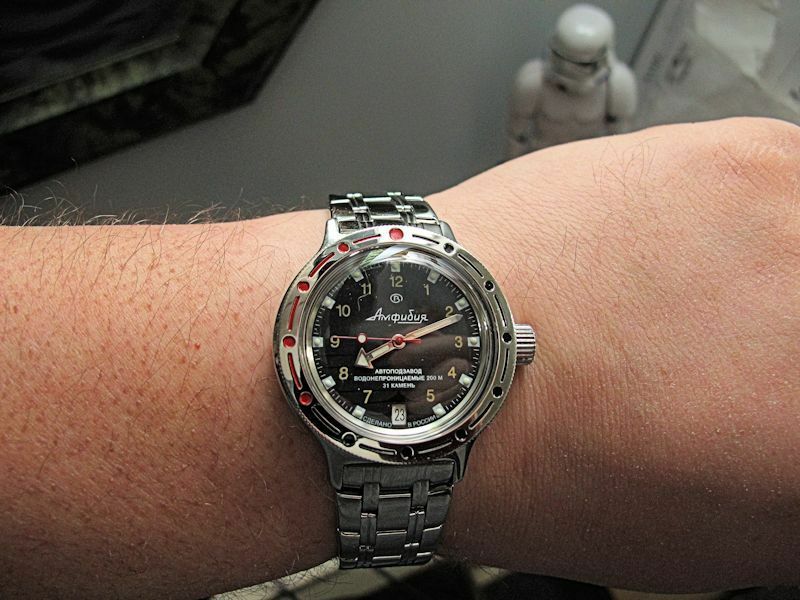 I gave my twin brother one to wear at his work, since they work around conveyer belts, they can't wear wrist watches. He really likes his. 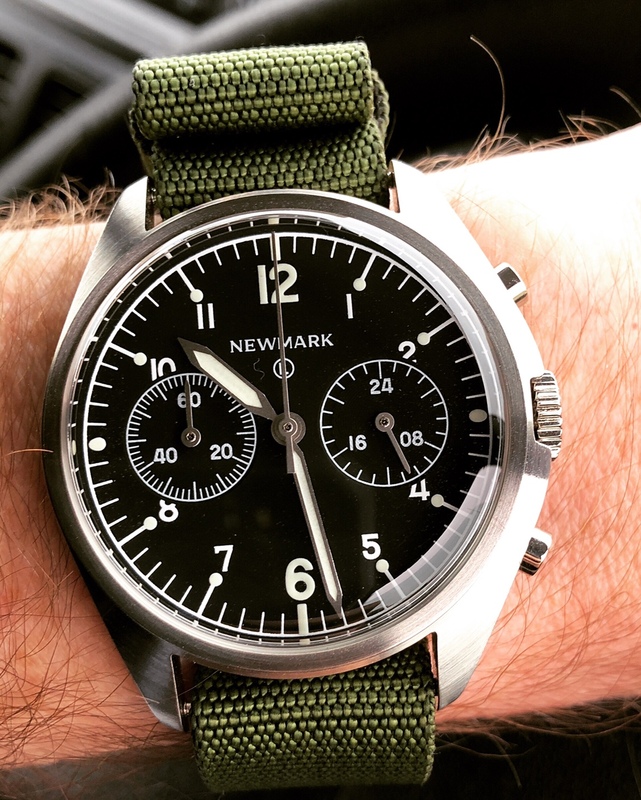 That Newmark is smashing looking, Smashie! 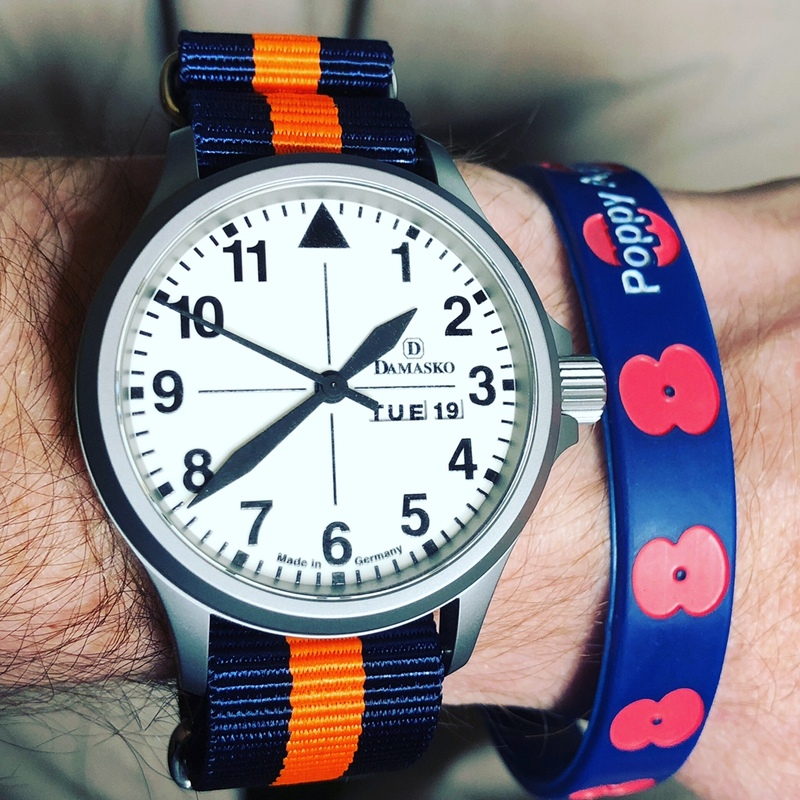 I thought a nice orange watch band would be nice for a sunny Sunday. Awesome! I've already got my eye on a second one. Trying to talk my brother into one as well. 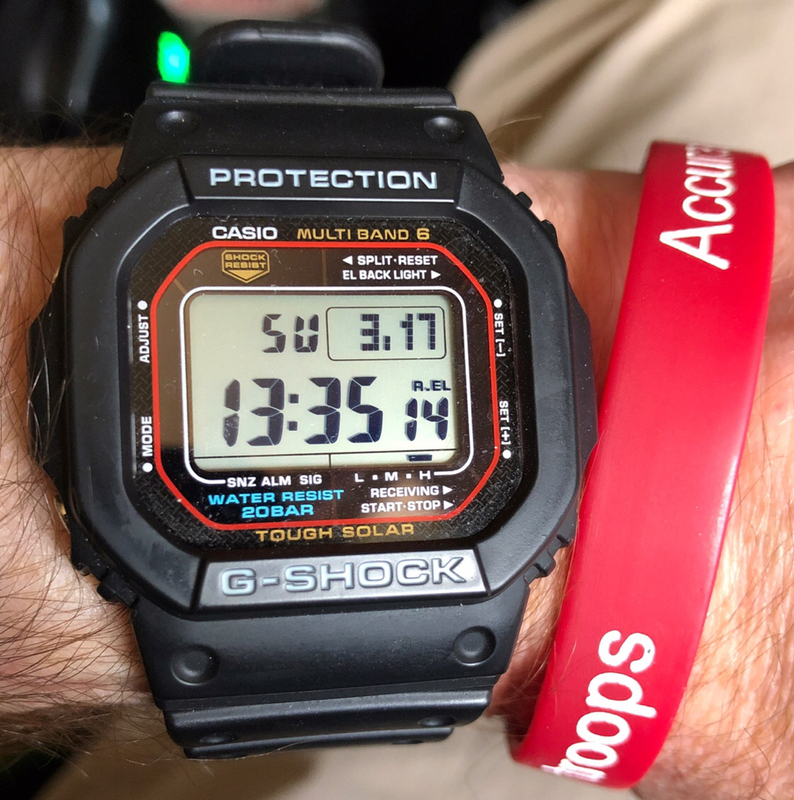 I've got this Casio on today. 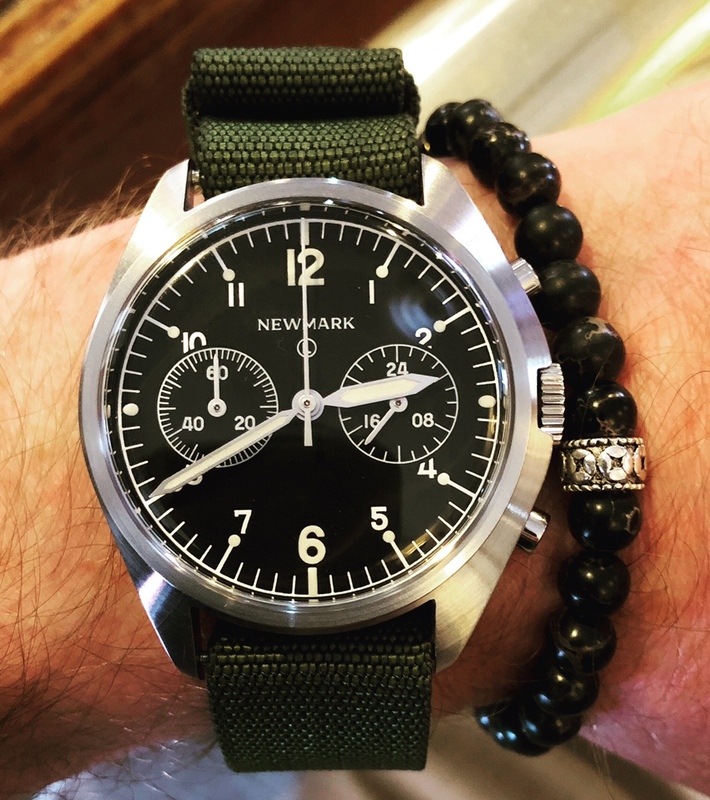 This might be my favorite of my non-work watches. I have been eyeing that Casio on Amazon for some time now...it is quite the deal for something that offers 200m. I think you'd be pleased with it. Looks good, keeps good time, super comfortable to wear, and as you said, good price! 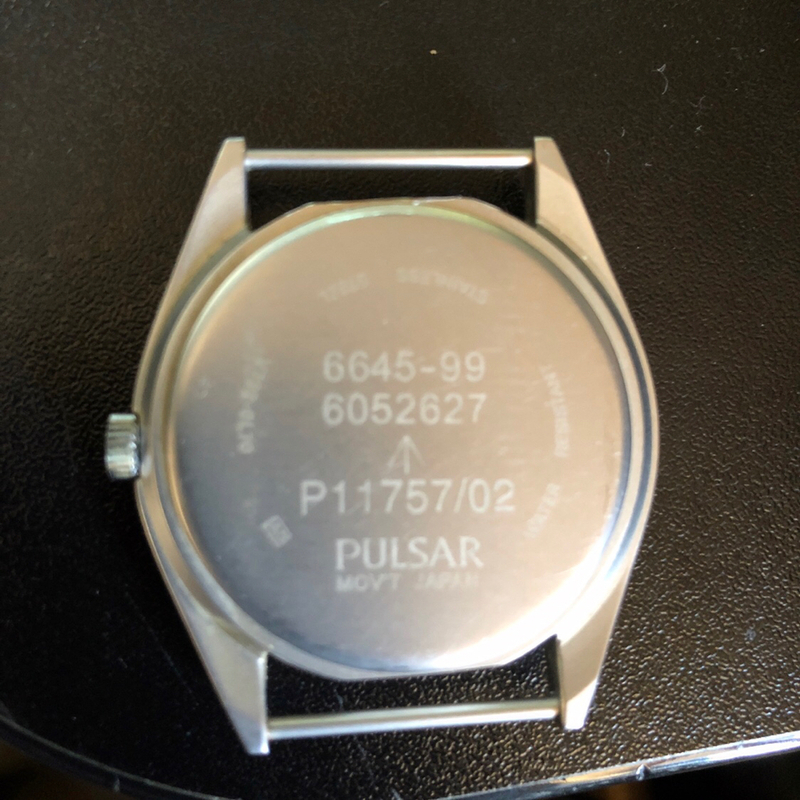 Another watch battery dropped through the letterbox, and another cheapie back up and running. I've not worn this one for ages.